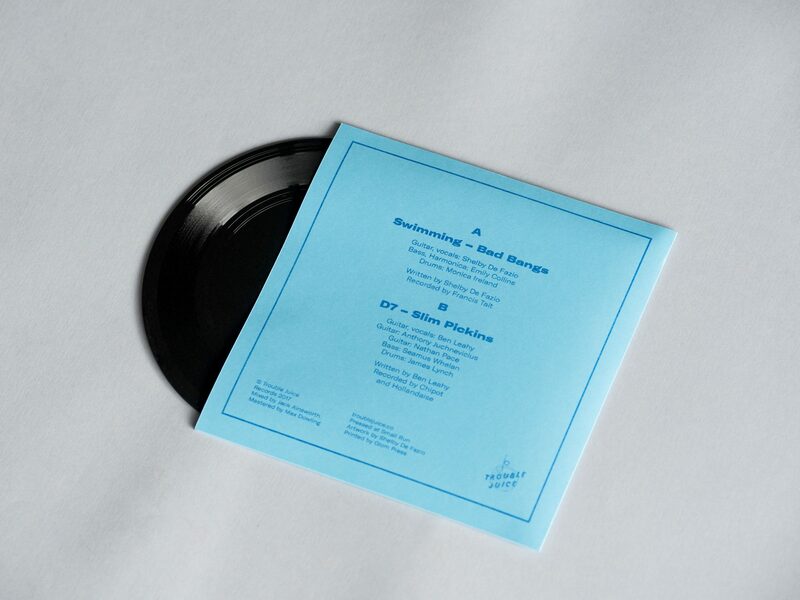 Trouble Juice Records are really excited to finally put out our inaugural release - a split 7” single between two of our favourite local bands, Bad Bangs and Slim Pickins. 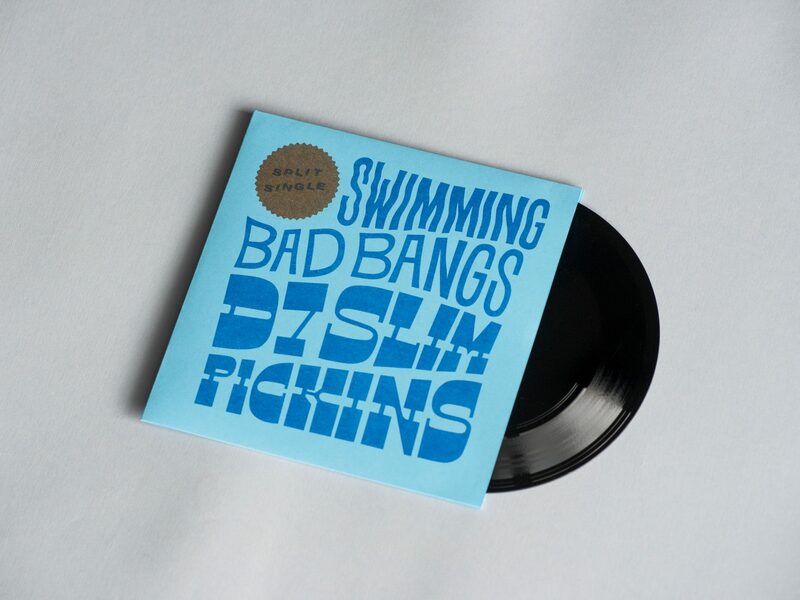 First up, we’ll be releasing “Swimming” by garage-pop trio Bad Bangs and “D7” by rock ’n’ roll/alt-country pals Slim Pickins on a limited run of 7” records, handcut by Melbourne's Small Run vinyl. To celebrate, we’ll be throwing a little party at Brunswick's Record Paradise this Saturday where you can get your hands on a copy. 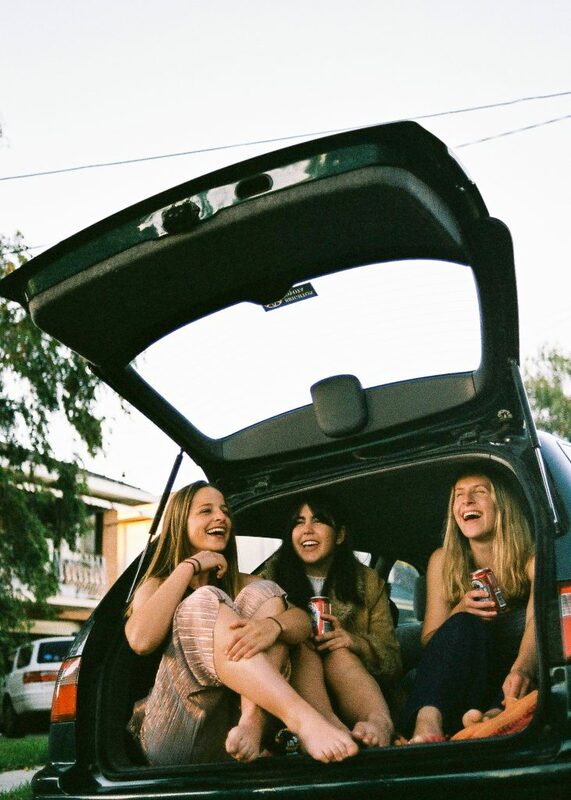 Bad Bangs have been gigging around Melbourne on and off for the last few years, and after a name change and something of a hiatus, they’re finally out with their first official release. A staple in their live set since early on in the band’s career, 'Swimming' is a charming slice of garage-pop and a prime example of what the girls do best. It’s all crunchy guitars, melodic basslines and Shelby De Fazio’s soulful vocals drifting effortlessly over the top. With the perfect amount of grit and an equal amount of attitude, 'Swimming' is the perfect cut to present Bad Bangs to the world. 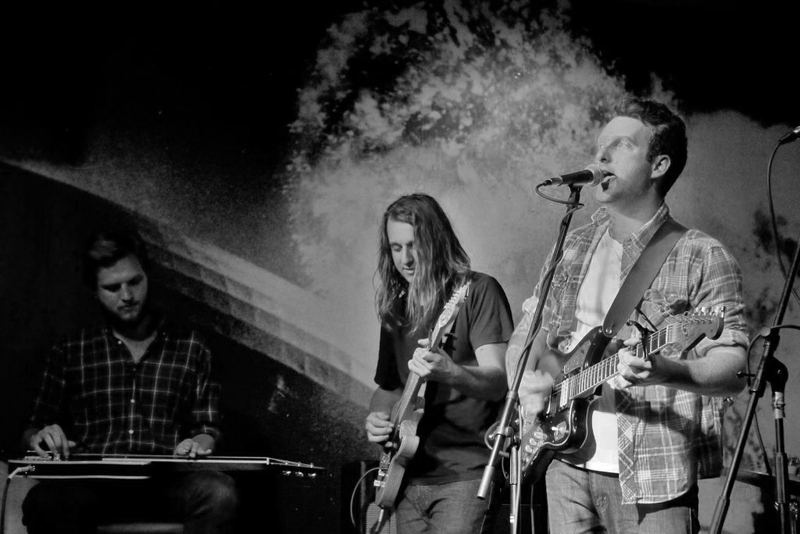 Slim Pickins are a Melbourne rock ’n’ roll/alt-country band, and 'D7' is their first offering of new music since the release of 'Anywhere' in 2016 - a country infused rock song full of twangy guitars and howling blues harp, which received some airtime on Melbourne community radio stations PBS and Triple R. 'D7' finds the band heading into some new territory - while the track is still based in jangling chords and highlights Ben Leahy’s signature vocals, weird sounds float in and out and fuzzed guitars sizzle as the band jams a hypnotic groove. The song doesn’t give much away about where Slim Pickins are headed, but serves as an excellent companion to Bad Bangs’ cut. 'Swimming' and 'D7' are being launched at Record Paradise on Saturday October 21st. Bands on from 4pm, 7" singles for sale (as well as heaps more available at Record Paradise) and it's free, all ages and BYO.